8 ton anchor, more than our entire boat. This place is named after William Dampier who was one of the original pirates of the Caribbean and was arguably the first Englishman to set foot on Aussie soil in 1688.. (well, if you ignore John Brookes sailing "Tryall" who crashed into a rock in what later became Australian waters in 1622). 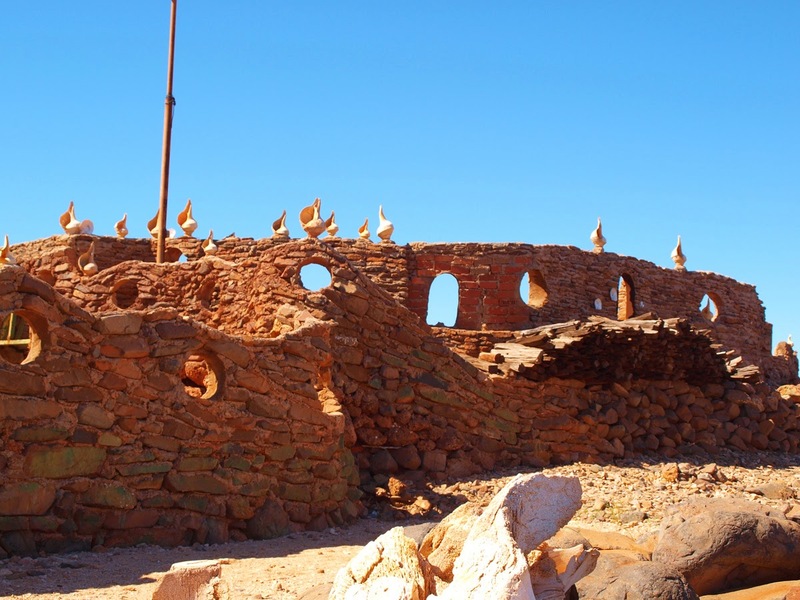 He sailed down the straits we sailed 300 years later, he saw the Dampier Archipelago and said the rocks appear to be rusting and made some unflattering observations of the locals which basically set the tone of white man/aboriginal relations ever since.. 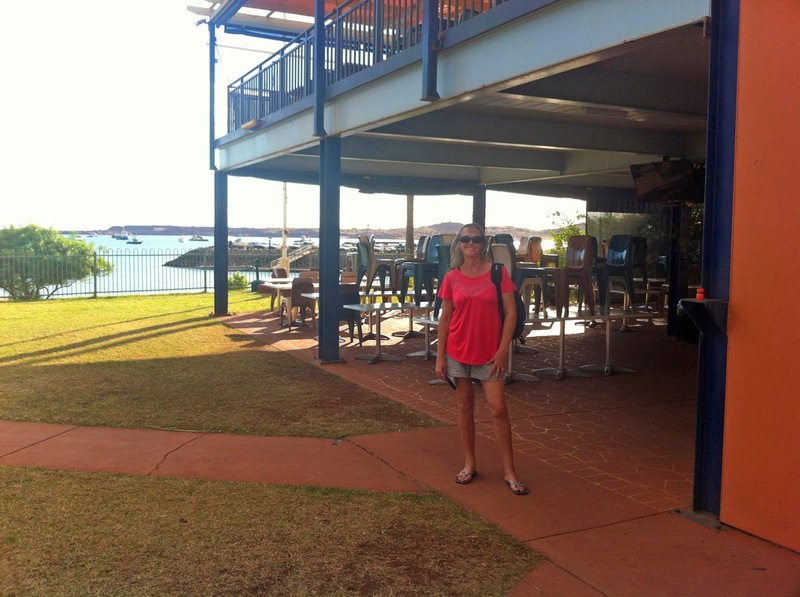 This town, Dampier, pop. 1,300 is one of the picturesque towns on the Pilbara coast, believe me there aren’t that many, that is slowly being killed off by the mining industry and the state government. The old timers say the town was thriving 30 years ago, now the shopping centre has empty shops, most the families are gone, replace by FIFO (Fly in Fly out) single men, who don’t need schools, shopping or community. It’s the same story in mining towns all over Australia. These places are hollowing out. The State government has responded by closing the medical centre, closing the post office and removing public transport. Dead. The few “real” locals are keeping the yacht club going, at least, which is our base especially during happy hour (free nibbles!) and it appears a huge chunk of the membership are from Karratha, major centre 20 km away (15,000 pop. 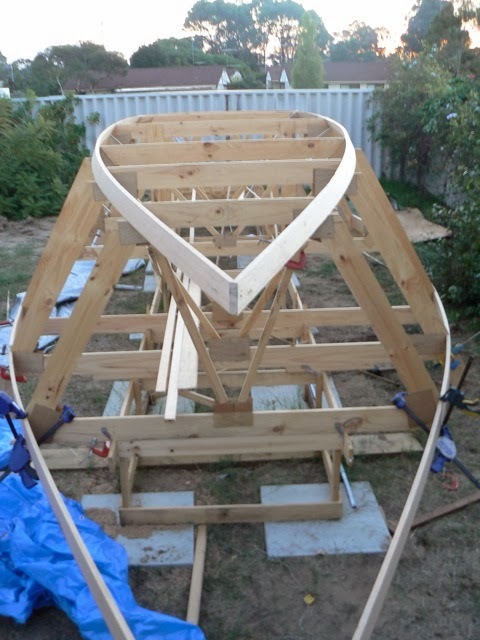 ), which isn’t anywhere as nice as Dampier. Well the mining companies have thrown back a pebble, they sponsor a “community” bus, so we actually have a way to get to Karratha, where there is a Centro shopping mall (woohoo!) with all shops of the big city… After spells of remoteness, even Susie likes it. Hampton Harbour Boat Club, our base - good food. Dampier was founded by a mining company in 1963. They built the causeway connecting it to the mainland where one of the employees working on the causeway, a young immigrant from Croatia, took to one of the islands in the harbour on a raft of oil drums. He was marooned there for 3 days by gales. He took a liking to the little island and later returned building a castle for his home, planting palm trees and where he lived alone for 40 years. The mining company granted him a 99 year “gentleman’s lease” and Sam became a local legend. They even helped him connect his castle with the towns water supply. They conduct tours of “Sam’s Island” now, where he is buried with his cat. 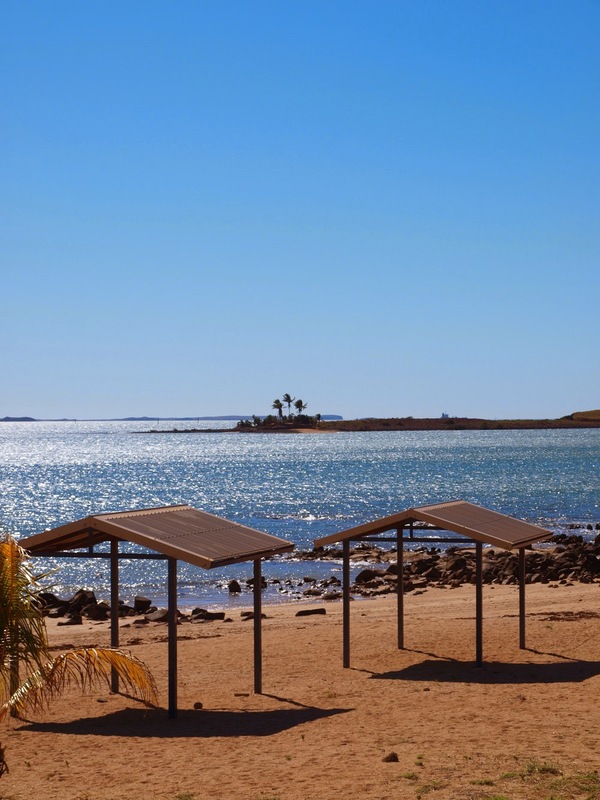 Dampier beach and Sam's Island background. 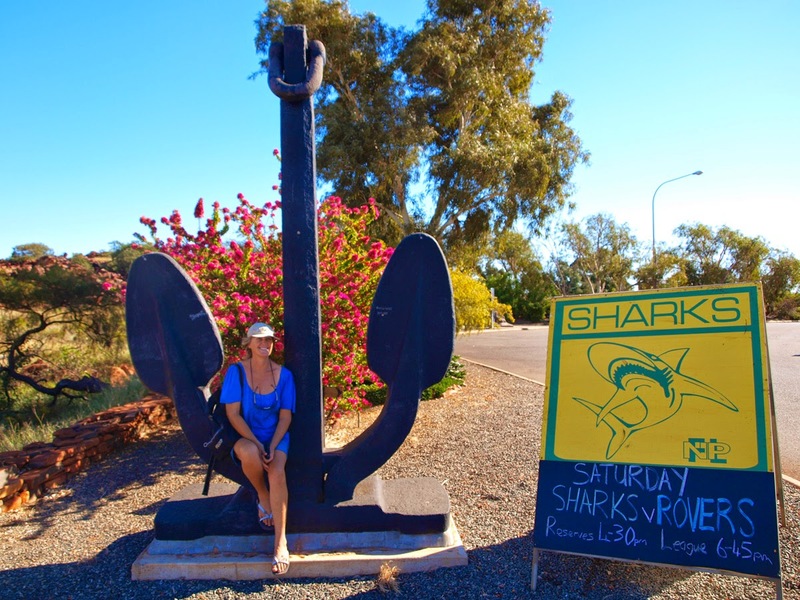 There’s another legend of Dampier. 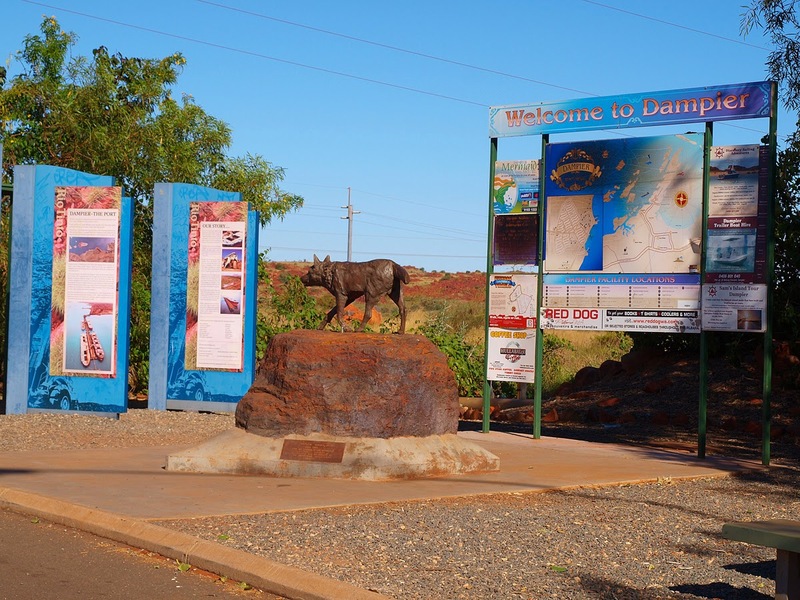 Some time ago an English writer took a drive from Karratha, while attending a writer’s festival, visiting Dampier and wondered why at the towns entrance, there was a statue of a dog rather than one of the famous buccaneer. He asked around the local pub, and the result was a short story about a dog, Red Dog. A Kelpie cross. Later it was turned into a movie, a hit in Perth (if nowhere else). The story of a dog in the 70’s who knew half the population of Dampier, got his meals from a different house each night, the locals demanded the council leave him alone, as he’s not a stray, he belongs to everyone. Then Red Dog adopted a truck driver (movie has him as a bus driver & American - gotta think of your market..). The truck driver died and Red Dog became a legend when he spent the next few years travelling far and wide looking for his master. (He knew how to hitchhike) Travelling as far as Perth and one story had him hitching a ride on an ore carrier to Japan (I doubt that one though). Now days in Dampier, you see Red Dog everywhere, there’s the Red Dog pizza (all meat), and the local soccer team are the “Red Dogs”. Red Dog, and a bunch of mining company propaganda, yada, yada.